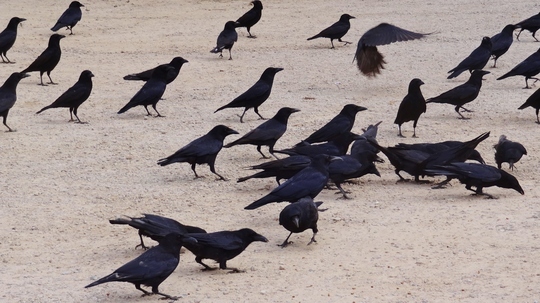 Crows in the car park. Reminded me of "THE BIRDS" Hitchcock's film. This was only a part of the amount of crows that were there Meadowland. Gosh....a large group of them always look intimidating I feel. I bet they made a racket, so noisy!! They were loud, and someone was feeding them, but I like all of the bird family, so I wasn't bothered, and they were nesting too.